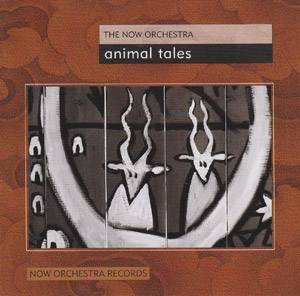 This recording is the first release by the NOW Orchestra on its own record label, NOW Orchestra Records. The CD features music from the concerts played by three great incarnations of the ensemble. There are compositions by Diane Labrosse, PIerre Tanguay and Coat Cooke. Nicole Mitchell, Jean Derome, John Oswald, Saul Berson, Graham Ord, Bruce Freedman, Rod Murray, Brad Muirhead, John Korsrud, Kevin Elaschuk, Ron Samworth, Kate Hammett-Vaughan, Paul Blaney Clyde Reed, Chris Gestrin, Rebecca Whitling, Blaine Dunaway, Brian Mix, Shanto Bhattacharya, Salvador Ferraras, Giorgio Magnanensi, Steven Wright, Skye Brooks.